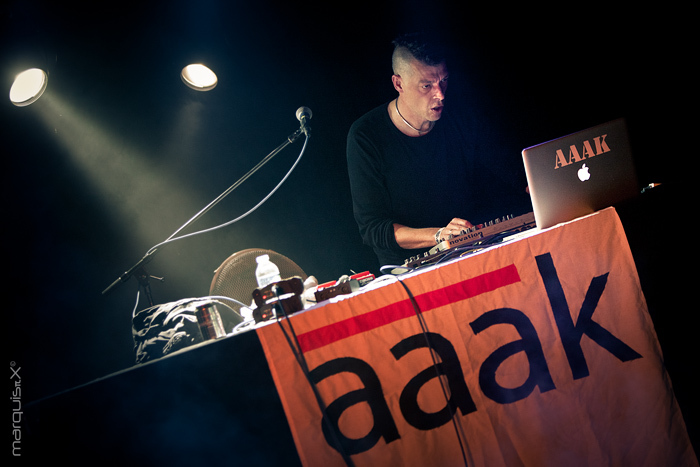 AAAK [As Able As Kane] were formed in early 1987 by Ding and Paul R .The duo, who were heavily influenced by the likes of Jim Thirwell's Foetus and bands like Killing Joke had become excited by discovering European acts such as Front 242, The Young Gods and Laibach. They had precious little equipment and early recordings were heavily reliant upon a collection of junk metal they'd acquired, accompanied by Paul's voice and a drum machine. 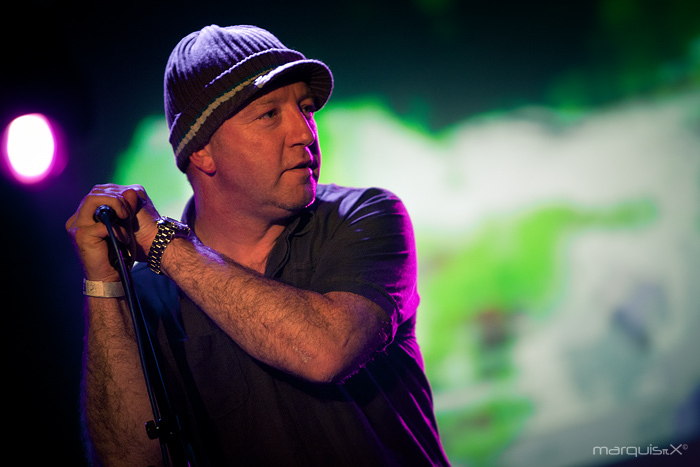 When Ding started on a sound engineering course in 1987 they met third member, Brendan McGuirk. 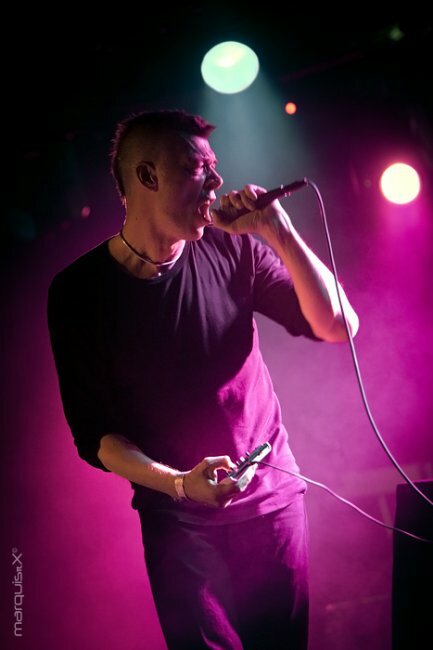 When he joined the band, he brought a sampler and a couple of decent keyboards into the mix and the studio that they were learning at also gave them access to sequencers and multi-track tape. After writing and recording several tracks at overnight sessions the band started to play live shows and gain a bit of a local fanbase. Several decent reviews later they were lucky to land a recording contract with a young Manchester based record label, Scam Records. For Scam, As Able As Kane recorded a 6 track mini-lp entitled "Buildingscape Beat", which is the way in which they had started to describe their music. 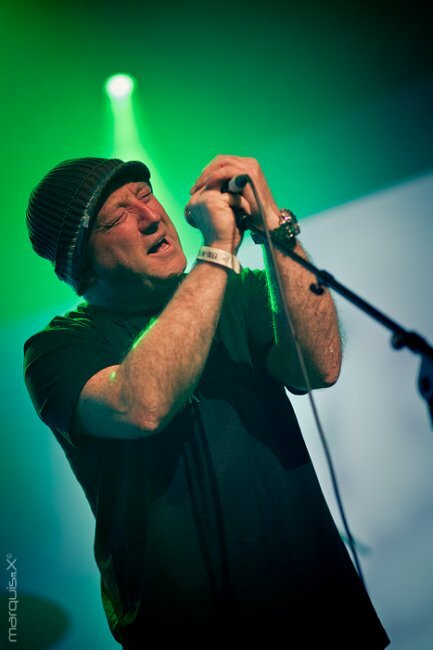 Buildingscape Beat was released in early 1989 and managed to catch the attention of John Peel and raised the band's profile sufficiently that they were offered another recording deal with the cult Belgian label, KK Records. The result of this 2nd deal was a 15 track cd/vinyl release called "Big Fist", which saw the band,now minus Brendan, receive a U.S release as well as Europe. The U.K didn't bother too much about AAAK and most of their fan base was overseas. During the final stages of recording of a 3rd album, the band had their studio and all of their equipment robbed and without suitable insurance were forced to call it a day. 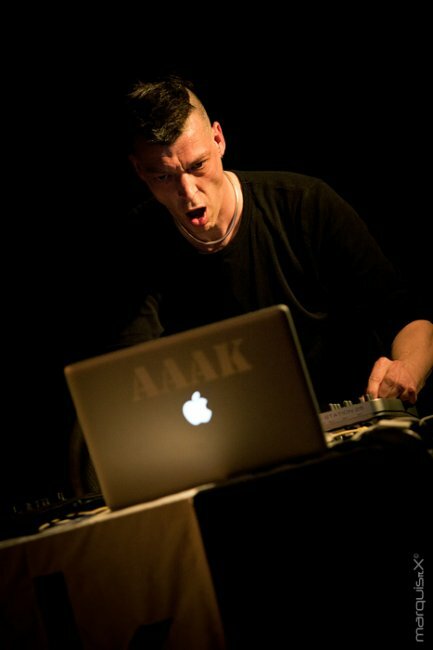 In the summer of 2009 he was approached by German E.B.M label Electric Tremor with the idea of re-issuing AAAK's LPs and possibly a live show or 2 to promote it. Paul R was consequently tracked down. 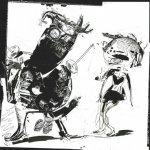 It had been about 15 years since the duo had seen each other - and the idea of just re-releasing the early material rapidly turned into re-recording the best tracks off the two releases instead. These new recordings were coupled with a collection of unreleased tracks from 1987-1991 re-mastered from cassettes and DAT tapes to form the 2010 2CD release, "The Collection"
The band played several gigs to promote The Collection and in so doing, found themselves reformed. New material started to be written and over the course of 2011 tracks appeared on compilations, re-mixes were done for other artists and a single/E.P - "Out Here" was recorded and released on Electric Tremor. 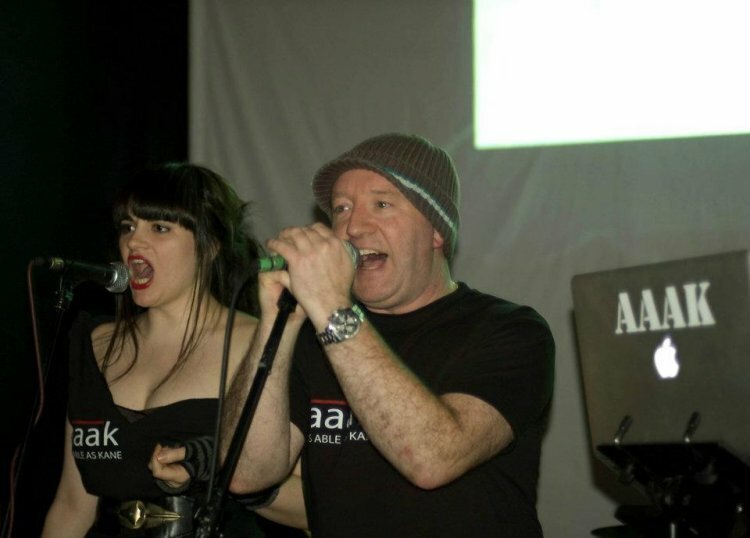 April 2012 saw the release of the bands first LP of new material since 1992. Entitled "Totalitarian Tip-Toe" the album is all about change ....change in musical direction / change in environment / change in personnel / change in working methods / change in geographical surroundings / change in politics. Throughout the recording of the LP there was major road construction being carried out right outside the studio and the sounds of road diggers, drills and stone cutters were often infecting the listening environment, to the point where the band started to stick more and more microphones out of the studio window and record the sounds in some of the tracks ..... "it seemed obvious really if you're trying to create buidingscape beats"
The new album features new members Neil R [guitarist with The Words] on guitars and Tamsin A [front woman from Mr Heart] on backing vocals. 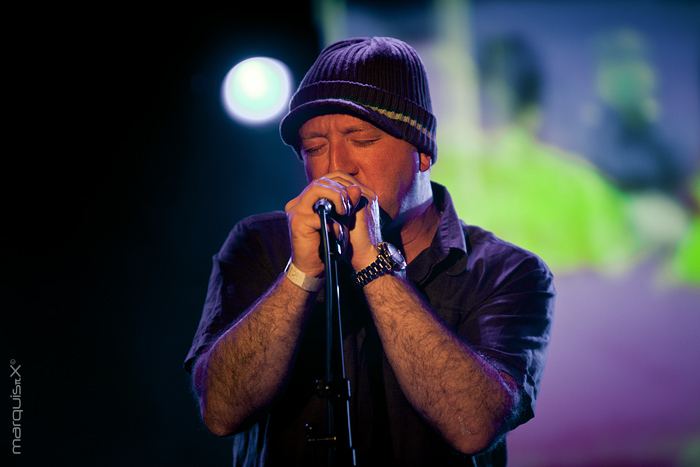 There also several tracks featuring live drums provided by Howard Jones of Kin and Lost Harbour. 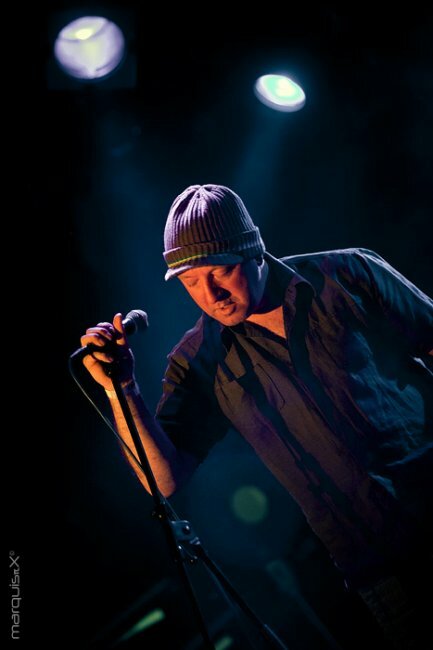 In August 2012 the band line-up changed once more, with the addition of Graeme Stuart Smith on drums and they embarked on their highest profile appearances to date, five shows supporting Red Hot Chili Peppers in eastern Europe. Meanwhile ... A.A.A.K. is still available and ready to play your club or festival! More info? 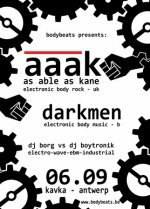 Contact us at info(a)bodybeats(dot)be! Bericht door AAAK [As Able As Kane]. 16 June 2014 New single by A.A.A.K. (As Able As Kane)! 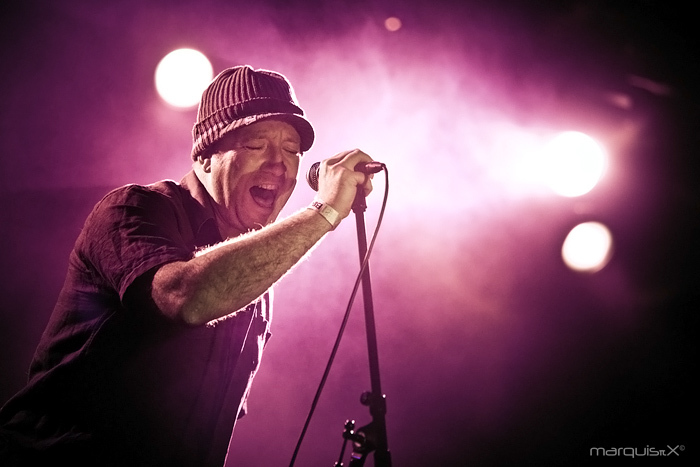 04 September 2013 AAAK's Simon Bing replaces bassist Kim Deal on new Pixies Album! 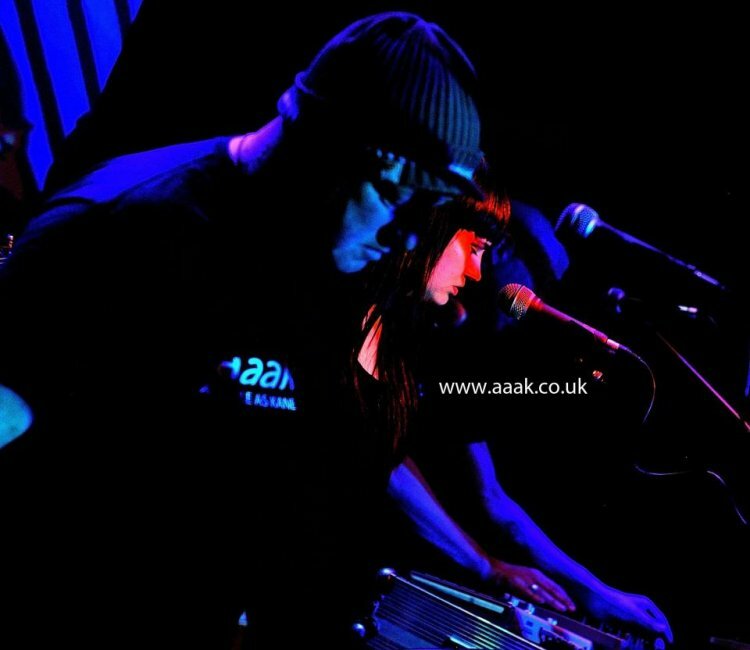 23 August 2013 AAAK (As Able As Kane) ready to embark on their European tour!